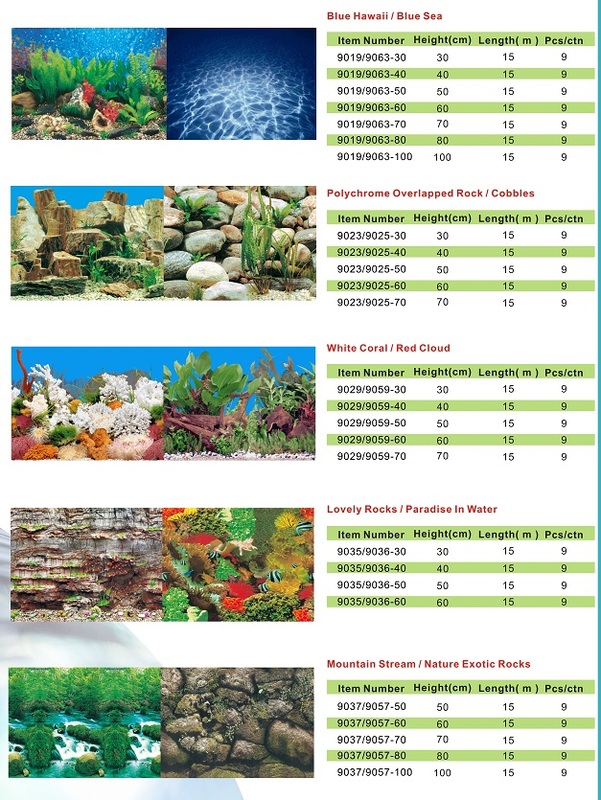 Product categories of Aquarium Decoration, we are specialized manufacturers from China, Aquarium Decoration, Fish Aquarium Decoration suppliers/factory, wholesale high-quality products of Reptile Aquarium Decor R & D and manufacturing, we have the perfect after-sales service and technical support. Look forward to your cooperation! Fish tanks can be decorated with different products, and with simple and beautiful aquarium decorations, fish tanks can be eye catching and also become an art for your home and office. 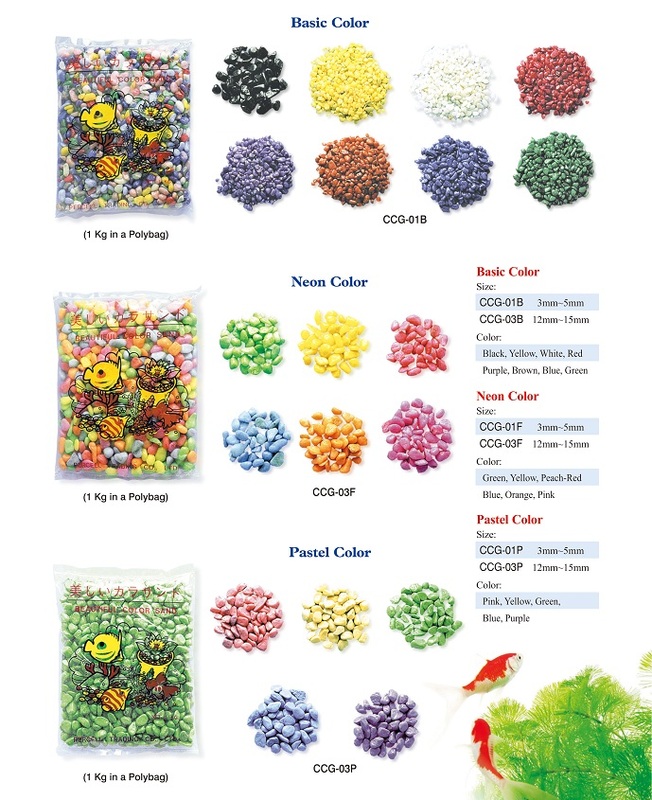 We offer many different types of aquarium decorations, one major category is plastic aquarium plants, in many sizes from the small plants of 3", 4", 5", 6", medium of 8", 10", 12", 14", to large of 16", 18", 20", and 22". 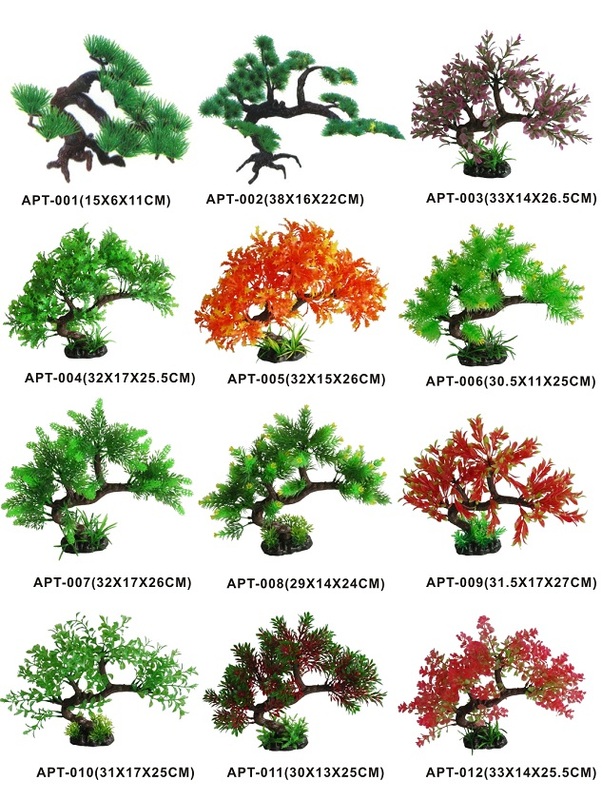 You can find the different imitation of the real plants of the world in our range. There is assortment of silk aquarium plants for you to choose from as well. 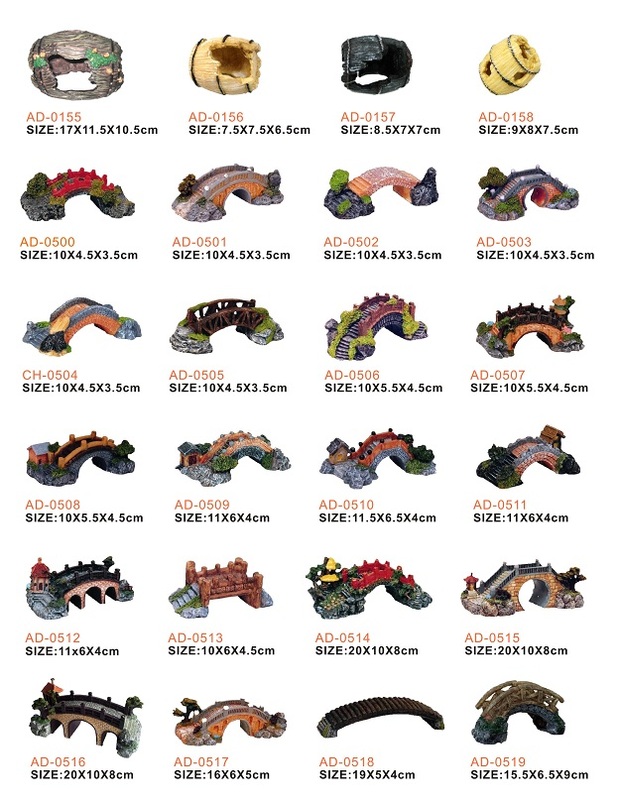 Another major category of Aquarium Decoration we carry is polyresin aquarium decoration that are the miniature of different buildings, objects such as ships, bridges, water mills, castles, trees, stones, and underwater creatures. They are hand-painted with skilled workers that look just liked the real thing. We have hundreds of designs for you to choose from, so you can always find something you like from the range. OEM designs are welcomed as well. 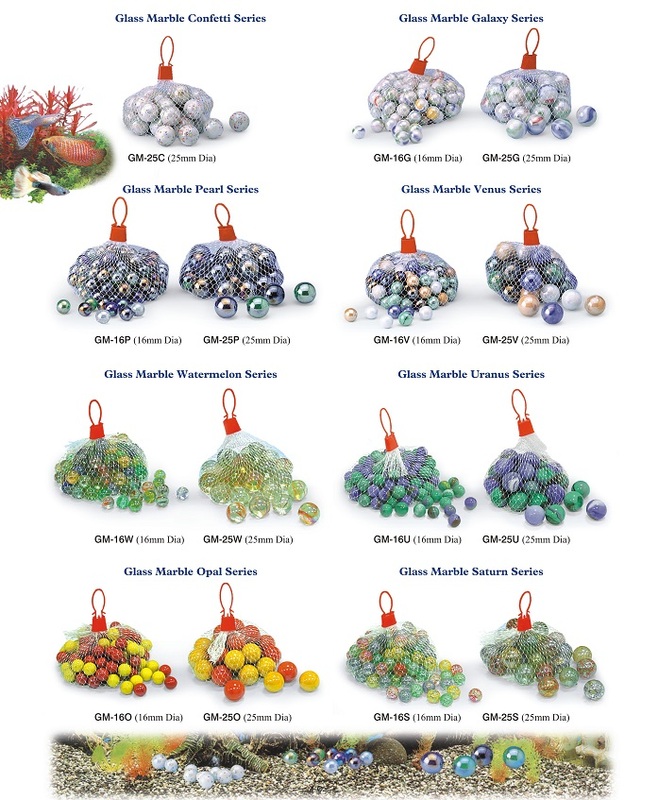 We also carry natural, colored stones and glass marbles in our range. Basic aquarium decorations that we will need for the start of the tanks. They come in different patterns and sizes for natural stones. Great way to make your tank look liked the natural environment for your fishes. Colored stones on the other end are great if you like a strong colorful base for your tanks. They make your tanks look a lot interesting and fun. Glass marbles are great for small tanks to use, translucent colors are pretty in water. Aquarium backgrounds are the simplest way to decorate your tank`s background. We have many different types of scenery for you to choose from. They also come in different heights so you can choose the correct size for your tank easily. They come in a roll of either 15meters or 25meters depending on the height you have. COMMUNICATION, staffs are fluent in written English with in time replies.